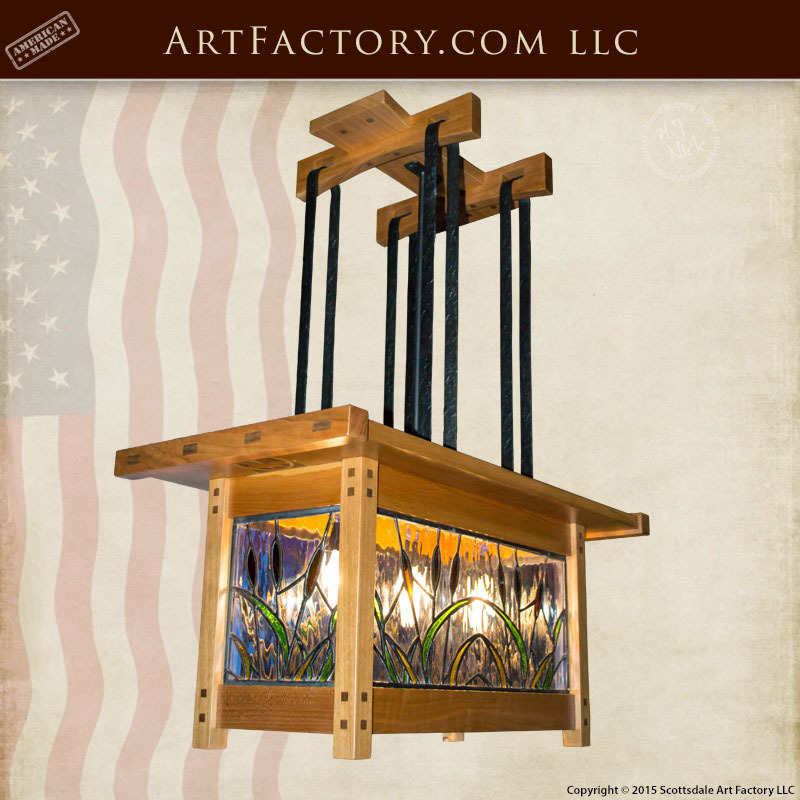 Original style craftsman chandelier designed by Greene and Greene in 1907 and redesigned by ArtFactory.com in-house artist and designer, H. J. Nick, in 2015. Built just like they were in the original era. Built The Old Fashioned Way "When Everything Made In America Was Built To Last Forever"